Permanent fish cell lines constitute a promising complement or substitute for fish in the environmental risk assessment of chemicals. 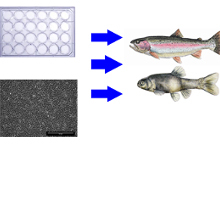 We demonstrate the potential of a set of cell lines originating from rainbow trout (Oncorhynchus mykiss) to aid in the prediction of chemical bioaccumulation in fish, using benzo[a]pyrene (BaP) as a model chemical. We selected three cell lines from different tissues to more fully account for whole-body biotransformation in vivo: the RTL-W1 cell line, representing the liver as major site of biotransformation, and the RTgill-W1 (gill) and RTgutGC (intestine) cell lines, as important environment-organism interfaces, which likely influence chemical uptake. All three cell lines were found to effectively biotransform BaP. However, rates of in vitro clearance differed, with the RTL-W1 cell line being most efficient, followed by RTgutGC. Co-exposures with α-naphthoflavone as potent inhibitor of biotransformation, assessment of CYP1A catalytic activity, and the progression of cellular toxicity upon prolonged BaP exposure revealed that BaP is handled differently in the RTgill-W1 compared to the other two cell lines. Application of the cell-line-derived in vitro clearance rates into a physiology-based toxicokinetic model predicted a BaP bioconcentration factor (BCF) of 909-1057 compared to 920 reported for rainbow trout in vivo. The number of new psychoactive substances (NPS) increases rapidly, harming society and fuelling the need for alternative testing strategies. These should allow the everincreasing number of drugs to be tested more effectively for their toxicity and psychoactive effects. One proposed strategy is to complement rodent models with zebrafish (Danio rerio) larvae. Yet, our understanding of the toxicokinetics in this model, owing to the waterborne drug exposure and the distinct physiology of the fish, is incomplete. We here explore the toxicokinetics and behavioral effects of an NPS, meta-chlorophenylpiperazine (mCPP), in zebrafish larvae. Uptake kinetics of mCPP, supported by toxicokinetic modeling, strongly suggested the existence of active transport processes. 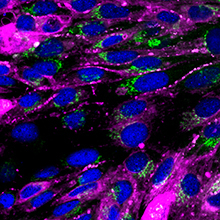 Internal distribution showed a dominant accumulation in the eye, implying that in zebrafish, like in mammals, melanin could serve as a binding site for basic drugs. We confirmed this by demonstrating significantly lower drug accumulation in two types of hypo-pigmented fish. Comparison of the elimination kinetics between mCPP and previously characterized cocaine demonstrated that drug affinities to melanin in zebrafish vary depending on the structure of the test compound. As expected from mCPP-elicited responses in rodents and humans, zebrafish larvae displayed hypoactive behavior. 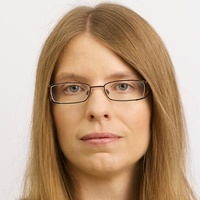 However, significant differences were seen between zebrafish and rodents with regard to the concentration-dependency of the behavioral response and the comparability of tissue levels, corroborating the need to consider the organism-internal distribution of the chemical to allow appropriate dose modeling while evaluating effects and concordance between zebrafish and mammals. Our results highlight commonalities and differences of mammalian versus the fish model in need of further exploration. The maximal chemical concentration that causes an acceptably small or no effect in an organism or isolated cells is an often - sought - after value in toxicology. Existing approaches to derive this value have raised several concerns; thus, it is often chosen case - by - case based on personal experience. To overcome this ambiguity, we propose an approach for choosing the non - toxic concentration (NtC) of a chemical in a rational, tractable way. We developed an algorithm that identifies the highest chemical concentration which causes no more than 10% effect (≤ EC10) including the modeled 95% confidence intervals and considering each of the measured biological replicates; and whose toxicity is not significantly different from no effect.The developed algorithm was validated in two steps: by comparing its results with measured and modeled data for 91 dose - response experiments with fish cell lines and/or zebrafish embryos; and by measuring actual effects caused by NtCs in a separate set of experiments using a fish cell line and zebrafish emb ryos. The algorithm provided an NtC that is more protective than NOEC (No - Observed - Effect - Concentration), NEC (modeled No - Effect Concentration), EC10 and Benchmark Dose (BMD). Despite focusing on small scale bioassays here, this study indicates that the NtC algorithm could be used in various systems. Its application on the survival of zebrafish embryos and on metabolic activity in cell lines showed that NtCs can be applied to different effect measurements, time points and levels of biological organization. The algorithm is available as Matlab and R code, and as a free, user friendly online application. Principles for determining uptake kinetics and bioconcentration factors for nanoparticles and test organisms have only been cursorily explored. Here we report the derivation of bioconcentration factors (BCFs) and the role of surface functionalization in the interactions between the nematode Plectus aquatilis and titanium dioxide nanoparticles (TiO2 NPs) dispersed in freshwater. Because of the high background concentration of titanium in natural waters, TiO2 NPs irradiated to produce 48V labeled TiO2 NPs, or doped with 1% niobium, were used to determine BCFs taking either an equilibrium partitioning or a kinetic modelling approach. The BCFs based on equilibrium partitioning increased from 71 (±17) L kg−1 at the highest exposure concentrations to 5.1 (±3.2) × 103 L kg−1 at the lowest exposure concentration, indicating that this approach is not valid. A kinetic modeling approach, based on the uptake rate and elimination rates for a two-phase elimination, best reflected the experimental data and was then used to determine BCFs. To further rationalize the kinetic interactions between the TiO2 NPs and the nematode, organisms were exposed to surface-functionalized TiO2 NPs with positively charged, negatively charged, steric stabilizing and environmentally relevant coatings. Correlations between the extent of TiO2 NP association (i.e. attached and internalized) with the nematode, and TiO2 NP properties, were examined. For all parameters considered, association of the surface functionalized TiO2 NPs with the nematode best correlated with the TiO2 NP sedimentation rate. These results indicate that concepts developed for hydrophobic contaminants are not applicable to nanoparticles and concepts specific to nanoparticles will be of greater utility. Zebrafish (Danio rerio) larvae have been suggested as vertebrate model to complement or even replace mammals for rapidly assessing behavioral effects of psychoactive drugs. Yet, divergent responses have been reported in mammals and fish despite the conservation of many drug targets. Cocaine, eg, acts as stimulant in mammals but no such response has been documented for zebrafish larvae. We hypothesized that differences in exposure routes (inhalation or injection in mammals vs waterborne in fish) may be a reason for differences in behavioral responses. We characterized cocaine toxicokinetics by liquid chromatography-mass spectrometry and found its rapid uptake into larvae. We used Matrix-assisted laser desorption ionization-mass spectrometry imaging for the first time to characterize internal distribution of cocaine in zebrafish larvae. Surprisingly, eyes accumulated the highest amount of cocaine and retained most of it even after 48 h depuration. We attribute this to trapping by pigment melanin, a thus far little explored mechanism that may also be relevant for other basic drugs. Cocaine also reached the brain but with levels similar to those in trunk indicating simple passive diffusion as means of distribution which was supported by toxicokinetic models. Although brain levels covered those known to cause hyperactivity in mammals, only hypoactivity (decreased locomotion) was recorded in zebrafish larvae. Our results therefore point to cocaine’s anesthetic properties as the dominant mechanism of interaction in the fish: upon entry through the fish skin and gills, it first acts on peripheral nerves rapidly overriding any potential stimulatory response in the brain. Antifouling (AF) systems are used worldwide as one of the most cost-effective ways of protecting submerged structures against heavy biofouling. The emergence of environmentally friendly AF biocides requires knowledge on their environmental fate and toxicity. In this study we measured the bioconcentration of the emerging AF biocide tralopyril (TP) in the Mediterranean mussel Mytilus galloprovincialis and investigated the effects of TP on the mussel gill proteome following acute (2 days) and chronic (30 days) exposure, as well as after a 10-day depuration period. The experiments were carried out with 1 μg/L TP; blank and solvent (5 × 10−5% DMSO) controls were also included. Proteomics analysis was performed by mass spectrometry-based multidimensional protein identification technology (MudPIT). Differentially expressed proteins were identified using a label-free approach based on spectral counts and G-test. Our results show that TP is rapidly accumulated by mussels at concentrations up to 362 ng/g dw (whole tissues), reaching steady-state condition within 13 days. Ten days of depuration resulted in 80% elimination of accumulated TP from the organism, suggesting that a complete elimination could be reached with longer depuration times. In total, 46 proteins were found to be regulated in the different exposure scenarios. Interestingly, not only TP but also DMSO alone significantly modulated the protein expression in mussel gills following acute and chronic exposure. Both compounds regulated proteins involved in bioenergetics, immune system, active efflux and oxidative stress, often in the opposite way. Alterations of several proteins, notably several cytoskeletal ones, were still observed after the depuration period. These may reflect either the continuing chemical effect due to incomplete elimination or an onset of recovery processes in the mussel gills. Our study shows that exposure of adult mussels to sublethal TP concentration results in the bioconcentration of this biocide in the tissues and modulates the expression of several proteins that may intervene in important metabolic pathways. Environmental risk assessment of chemicals is essential but often relies on ethically controversial and expensive methods. We show that tests using cell cultures, combined with modeling of toxicological effects, can replace tests with juvenile fish. Hundreds of thousands of fish at this developmental stage are annually used to assess the influence of chemicals on growth. Juveniles are more sensitive than adult fish, and their growth can affect their chances to survive and reproduce. Thus, to reduce the number of fish used for such tests, we propose a method that can quantitatively predict chemical impact on fish growth based on in vitro data. 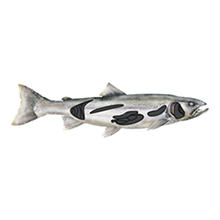 Our model predicts reduced fish growth in two fish species in excellent agreement with measured in vivo data of two pesticides. This promising step toward alternatives to fish toxicity testing is simple, inexpensive, and fast and only requires in vitro data for model calibration. Effect concentrations in the toxicity assessment of chemicals with fish and fish cells are generally based on external exposure concentrations. External concentrations as dose metrics, may, however, hamper interpretation and extrapolation of toxicological effects because it is the internal concentration that gives rise to the biological effective dose. Thus, we need to understand the relationship between the external and internal concentrations of chemicals. The objectives of this study were to: (i) elucidate the time-course of the concentration of chemicals with a wide range of physicochemical properties in the compartments of an in vitro test system, (ii) derive a predictive model for toxicokinetics in the in vitro test system, (iii) test the hypothesis that internal effect concentrations in fish (in vivo) and fish cell lines (in vitro) correlate, and (iv) develop a quantitative in vitro to in vivo toxicity extrapolation method for fish acute toxicity. To achieve these goals, time-dependent amounts of organic chemicals were measured in medium, cells (RTgill-W1) and the plastic of exposure wells. Then, the relation between uptake, elimination rate constants, and log KOW was investigated for cells in order to develop a toxicokinetic model. This model was used to predict internal effect concentrations in cells, which were compared with internal effect concentrations in fish gills predicted by a Physiologically Based Toxicokinetic model. Our model could predict concentrations of non-volatile organic chemicals with log KOW between 0.5 and 7 in cells. The correlation of the log ratio of internal effect concentrations in fish gills and the fish gill cell line with the log KOW was significant (r>0.85, p = 0.0008, F-test). This ratio can be predicted from the log KOW of the chemical (77% of variance explained), comprising a promising model to predict lethal effects on fish based on in vitro data. Quantification of chemical toxicity continues to be generally based on measured external concentrations. Yet, internal chemical concentrations have been suggested to be a more suitable parameter. To better understand the relationship between the external and internal concentrations of chemicals in fish, and to quantify internal concentrations, we compared three toxicokinetic (TK) models with each other and with literature data of measured concentrations of 39 chemicals. 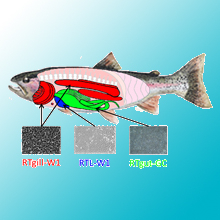 Two one-compartment models, together with the physiologically based toxicokinetic (PBTK) model, in which we improved the treatment of lipids, were used to predict concentrations of organic chemicals in two fish species: rainbow trout (Oncorhynchus mykiss) and fathead minnow (Pimephales promelas). All models predicted the measured internal concentrations in fish within 1 order of magnitude for at least 68% of the chemicals. Furthermore, the PBTK model outperformed the one-compartment models with respect to simulating chemical concentrations in the whole body (at least 88% of internal concentrations were predicted within 1 order of magnitude using the PBTK model). All the models can be used to predict concentrations in different fish species without additional experiments. However, further development of TK models is required for polar, ionizable, and easily biotransformed compounds. We report on the advantages and problems of using toxicokinetic-toxicodynamic (TKTD) models for the analysis, understanding, and simulation of sublethal effects. Only a few toxicodynamic approaches for sublethal effects are available. These differ in their effect mechanism and emphasis on linkages between endpoints. We discuss how the distinction between quantal and graded endpoints and the type of linkage between endpoints can guide model design and selection. Strengths and limitations of two main approaches and possible ways forward are outlined.